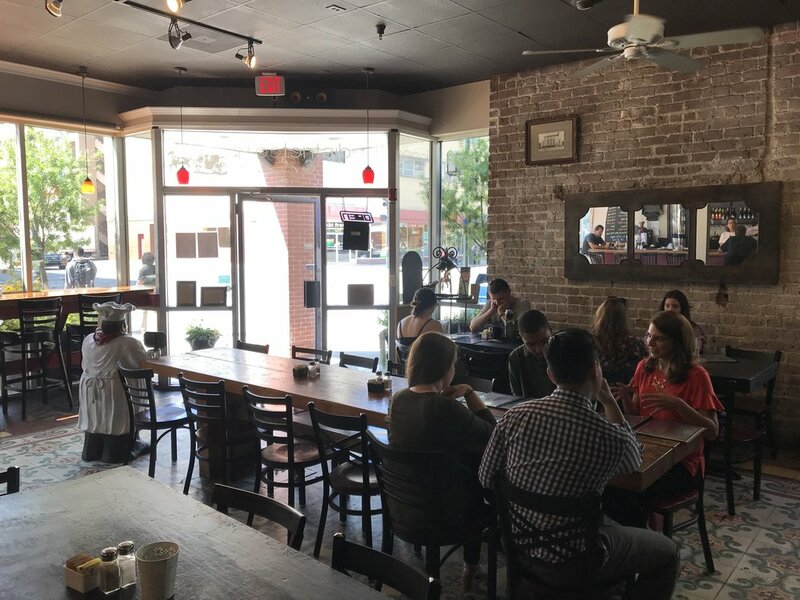 The District Café is located in the heart of downtown Savannah, on the corner of Broughton and Abercorn – between the historic Lucas Theatre and Trustees Theatre and just down the street from Leopold’s Ice Cream. The inside of District is urban and rustic; the floor is covered in an arresting tile pattern, and large chalkboard menus hang from the walls. 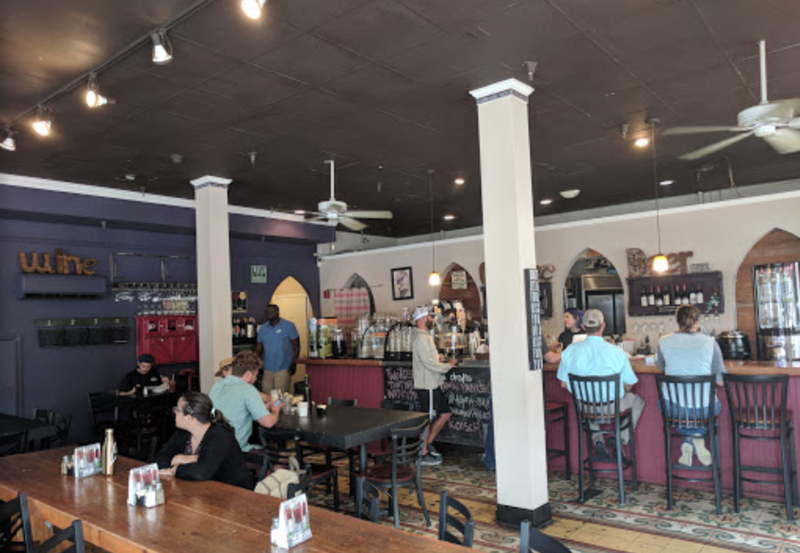 A number of four and six seat tables make this a great destination for a group outing, and thanks to a wide variety of salads, sandwiches, pitas, and paninis, there’s plenty of food options for people of all different tastes. The District is open every day at 11am, closing at 4pm on weekdays and 6pm on weekends. In addition to their many food options, District serves beer and wine. I had a Red Hare lager, a Jacked-Up Turkey sandwich – sufficiently spicy – and a cappuccino on my first visit. On my second visit, I ordered a Classic Italian panini and a Cheesy Broccoli Pita for my friend – simple and delicious. The service was friendly and prompt from all three of the servers that have helped me. I’m planning a third visit to try a charcuterie board, served after 3pm every day. Once you’ve had your lunch here, pass through Oglethorpe Square and come see us at Cup to Cup Café for an after-meal coffee.